David Deveau had never played at the Rockport Chamber Music Festival when he became a candidate to become its artistic director in 1995. 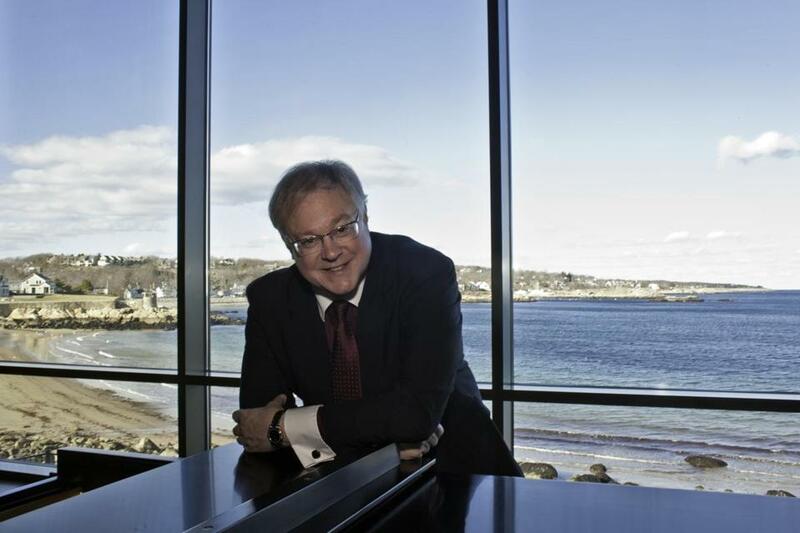 A pianist active in both solo and chamber music repertoire, Deveau had in fact never even been to a Rockport concert. So he was more than a bit surprised to be invited to throw his hat in the ring for the position. Rockport was, at that time, a very different festival than today, he remembered during a recent phone conversation. It would regularly engage two groups per festival weekend, each of which would play works on their own. Then there would be collaborations between the two ensembles, even though their members sometimes didn’t know or hadn’t played with one another. “It was an interesting experiment,” Deveau said, “in the sense that if it worked, you would really get some wonderful sparks onstage.” It did not, however, “produce the most consistent results,” he said. The results speak for themselves. When the Rockport Chamber Music Festival opens with a gala performance featuring violinist Joshua Bell on June 2, it will be the 22nd festival under Deveau’s leadership. During that time he has transformed it from a quirky, provincial outpost into a major destination that regularly brings the world’s most prominent chamber music ensembles to its own stellar concert hall, nestled into the rocky shore of Cape Ann. It will also be his last. Deveau announced in January 2016 that he would step down as artistic director at the end of this year’s festival. Among his achievements, he’s especially proud of having engaged some of those elite groups — the Brentano, St. Lawrence, and Jupiter string quartets among them — before they reached national prominence. And his push to include more familiar works coexisted with a venturesomeness that’s resulted in a list of commissions, co-commissions, and premieres that have taken place during his tenure. The newest of these is “Dogtown Common,” a new piano quartet by Charles Shadle that Deveau and three colleagues will premiere at Rockport on June 3. The most lasting result of Deveau’s tenure will undoubtedly be the Shalin Liu Performance Center, which opened in 2010 and has since become a prized chamber-music venue. Deveau says he realized after about three seasons that the festival needed another venue than the Rockport Art Association, which could get so hot during concerts that audience members passed out at more than one performance. From that realization to the opening of the hall was a decade-long process that Deveau cheekily called “a love of labor. Chief among those pursuits is recording, to which Deveau returned a few years ago after having not recorded for about two decades. Back then he found the process deeply unpleasant: “I hated having just a microphone and a producer telling me what I’m doing wrong. I thought it was better to make live music.” But when he recorded a Schubert disc with violinist Andrés Cárdenes in 2014, he found the process far more agreeable. A solo recital he made for the Steinway & Sons label in 2015 was well received, and he recently recorded chamber versions of piano concertos by Mozart and Beethoven for future release. Deveau’s successor will be violinist Barry Shiffman, a former member of the St. Lawrence who currently holds positions at the Royal Conservatory of Music in Toronto and Banff Centre International String Quartet Festival. Deveau was not part of the selection process but was nevertheless delighted when the board chose Shiffman.